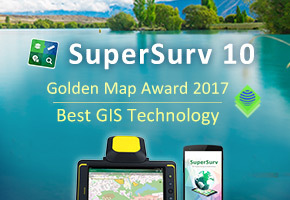 The cutting-edge mobile GIS- SuperSurv 10 won 13th Golden Map Award on Best GIS Technology, awarded by Taiwan Geographic Information Society. The long-term project, Statistical Map API, authorized by the Department of Statistics, Ministry of the Interior, won Asia Geospatial Excellence Award 2016. Environmental Data Cloud was selected as Cloud Computing & IoT Innovation Award 2016, given by Cloud Computing Association in Taiwan. Environment Info push app won Geospatial Excellence Award on ‘Geospatial Apps’, given by Geospatial Media and Communications. Supergeo received the funding from SBIR, granted by the Department of Industrial Technology, Ministry of Economic Affairs, for developing SuperGIS vector tile. 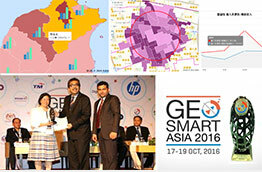 TGOS MAP API won 11th Gold Map Award on Best Promotion Service, awarded by Taiwan Geographic Information Society. Statistical GIS won 11th Gold Map Award on Best System Application, awarded by Taiwan Geographic Information Society. Supergeo was awarded 2014 ICT Best Choice Middle East Partner by Institute for Information Industry. SuperGIS-powered TGOS Cloud Service was selected as the winner of Asia Geospatial Excellence Award 2014. TGOS was authorized by Ministry of the Interior, Taiwan, to build a cloud GIS platform to benefit huge data sharing and utilization. 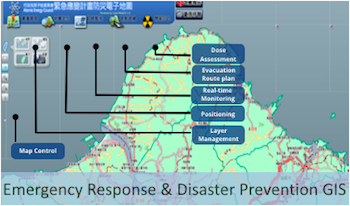 Incident Command System of Fire Bureau, Taiwan won World Geospatial Excellence Award 2014. Utilizing SuperGIS Server as the core system, commanders are able to timely deploy resources to save time and lives. Supergeo was selected as a finalist for Red Herring’s Top 100 Asia award. Supergeo is seen as one of most potential companies with continuous technology innovation, social value, etc., helping the global users solve spatial problems. 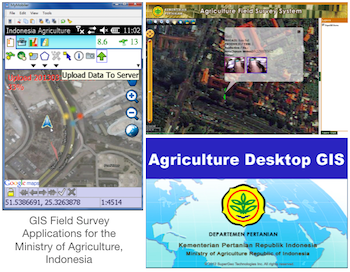 Supergeo received the funding from Industrial Technology Development Program granted by the Ministry of Economic Affairs, for developing GIS Field Survey Applications for the Ministry of Agriculture, Indonesia. Emergency Response and Disaster Prevention System won Asian Geospatial Excellence Award in ‘Disaster Management’ Category, awarded by Geospatial Media and Communications. ATIS Website won Geospatial Excellence Award in ‘Transport Management’ Category, awarded by GIS Development, a global geospatial media company. Taiwan Biodiversity Network platform won the 6th Gold Map Award on Best Promotion Service, given by the Taiwan Geographic Information Society. Supergeo received the funding from SBIR, granted by the Department of Industrial Technology, Ministry of Economic Affairs, for developing SuperGIS Image Server. Supergeo was awarded TGIS Editor Best Choice. SuperGIS Network Server won the 3rd Gold Map Award on Product Technology, awarded by the Taiwan Geographic Information Society. The Taipei City ATIS Website won the 2nd Gold Map Award on Application Systems, given by the Taiwan Geographic Information Society. 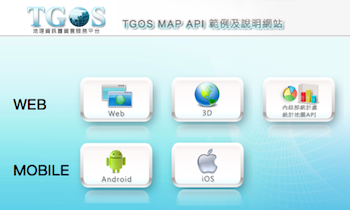 SuperWebGIS received the 2nd Gold Map Award on Product Technology, given by the Taiwan Geographic Information Society. Supergeo received the funding from SBIR, granted by the Department of Industrial Technology, Ministry of Economic Affairs, with which we have the goal of developing SuperGIS 3 series products. 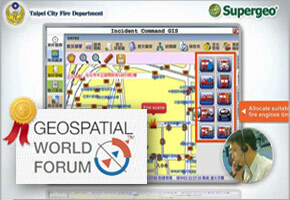 SuperGIS Desktop 1.2 won the 1st Gold Map Award on Best Product, given by the Taiwan Geographic Information Society. SuperGeo R&D Dept. Manager Leon Lin, won the 1st Gold Map Award on Best Technology, awarded by the Taiwan Geographic Information Society. SuperObjects was nominated for the 2004 Digital Content Award in Software Innovation. SuperPad Suite was nominated for the 2003 Info Month Excellent Information Application And Product Awards for Mobile GIS platform. Industry Bureau, Ministry of Economic, listed SuperGeo’s GIS technology operation and investment as an Emerging Crucial Strategic Science Technology in Taiwan.